Welcome to our 2016 crop of wonderful foals! All are carefully bred for performance and type - the great colour being the bonus! 0402 797196 for all the latest information and pricing. 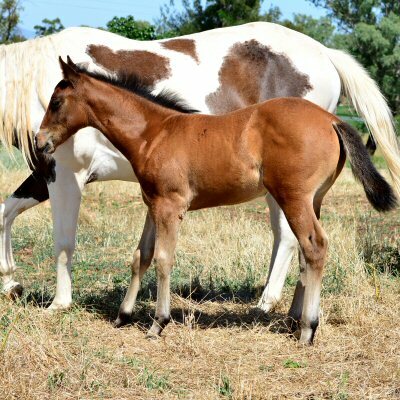 'Kelly' is a three-quarter sister to Cats Jackhammer (2016 Snaffle Bit Futurity winner) and will be cowy and very trainable. She should mature to around 14.3hh. Take note of her pedigree and the winners in her lineage. 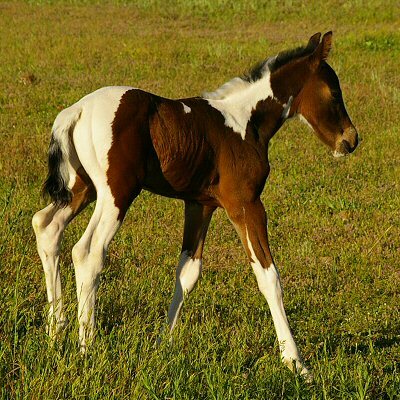 (Ginger) PHAA regn pending, Born 14.09.2016 - Chestnut tobiano filly. 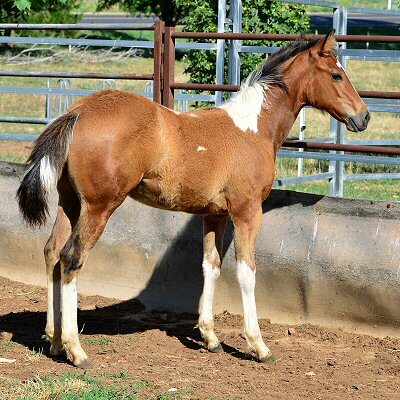 The breeding on this filly suggests we need to get her to a trainer and into the cutting arena in the future. 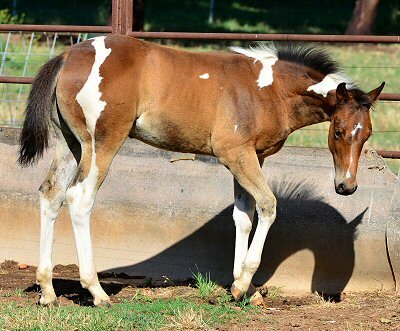 (Princess) PHAA regn pending - Born 21.09.2016 - Bay tobiano filly. Its a thrill to have one of The Big Gun daughters in Australia. She will have a special place at Sunrise and we will look forward to training her for reining in the future. (Boss) PHAA regn pend. Born 05.10.2016 - Bay tobiano colt. 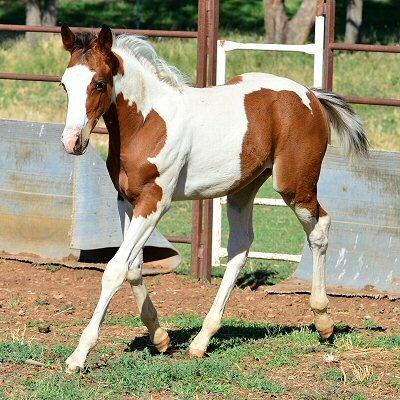 A well balanced, bold, athletic colt that should grow to 14.3 or 15hh. 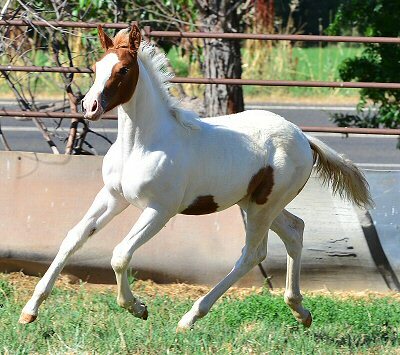 By one of the most respected cutting stallions imported into this country, this colt should make a cutter or a campdrafter. There is no question that he will look at a cow! (Lights) PHAA regn pending - Born 13.10.2016 - Bay tobiano filly. This filly is a full sister to 'Ten', we have high hopes for a performance career for her in the future. (Giblet) PHAA regn pend. Born 14.10.2016 - Bay tobiano colt. 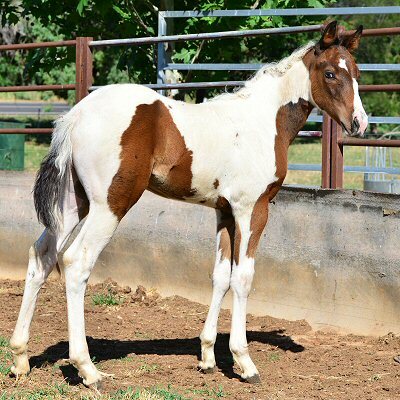 This little colt will be a cow cutting machine with his genetics .... hang on! (Mouser) PHAA regn pend. Born 21.10.2016 - Bay paintbred filly. This is one pretty filly that is quick footed and strong. 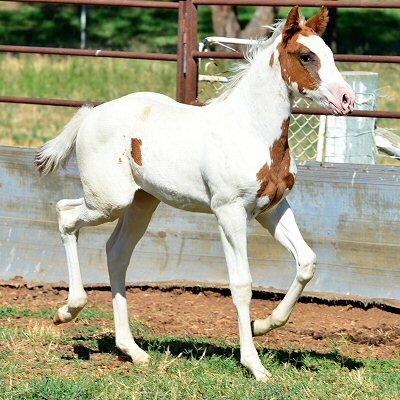 Good genetics on both sides of her pedigree will make sure that she is a cow horse that can compete with the best. We are impressed with this filly, she has nice balance, great bone and lots of speed. Temperament is like her sire ... awesome. This pedigree has cutting and campdraft on the top side and reining and cowhorse on the bottom. With her speed she could rope or chase drums. She should mature to 15hh. (Smarts) PHAA regn pend. 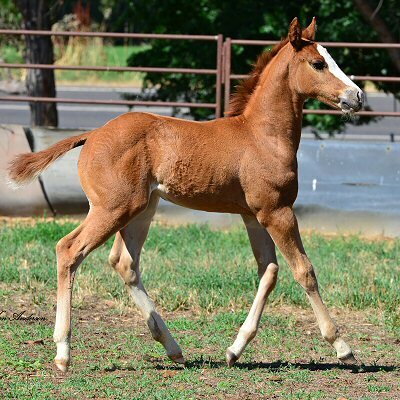 Born 07.11.2016 - Chestnut paintbred colt.